Friday 15th February – Inclusivity House Assembly.…can Inclusivity house please wear blue today and bring some money for their nominated charity? 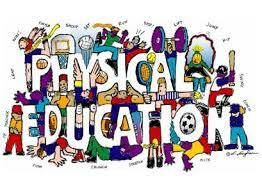 Thursday 21st February – Sports Day for Year 3-6.….please wear full PE kit today. Tuesday 26th February – Year 2 Bake Sale.….please bring in some money to buy some baked goods to support our PTA. Thursday 7th March – World Maths Day…..watch this space to see what exciting activities we’ll be up to! 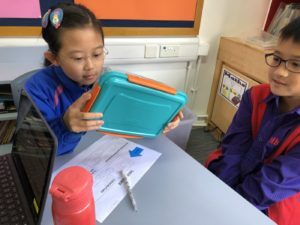 Friday 8th March – Student-Led Conferences : these will be held in sessions throughout the day and the children will only come to school with you at your chosen time…..please book your preferred time on the Gateway which will be open soon. 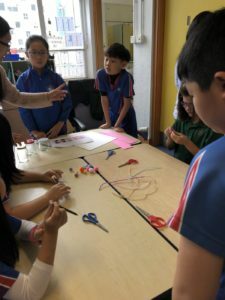 Our Year 5 students are currently working on their big business unit where they are creating their own businesses and running a market day to raise money. As part of the unit the children have been asked to give a presentation to a panel of business experts. We are looking for volunteer business experts who can offer advice to the children and give positive feedback to groups of children. The presentations are held over two days, on Thursday 28th February and Friday 1st March. 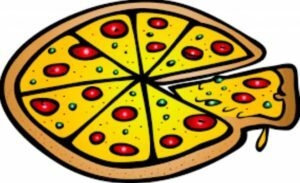 We will be having Pizza lunch on Tuesday 12th February 2019. As part of our theme of well-being and responsibility we would like to protect our environment from unnecessary waste. If your child is having pizza, they will need to bring in a reusable lunchbox or plate to use. We greatly appreciate your support in this. Please send them to school. There will be a collection box in the school foyer from Monday 21st January. Any books you can donate will help spread the enjoyment of reading. 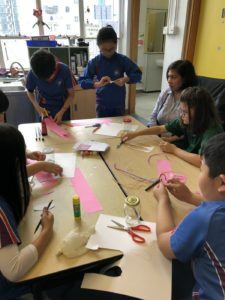 We have had a busy week at school with students enjoying a variety of activities on offer during our China Cultural Activity Day. This was topped off by the terrific Chinese New Year Celebration where we enjoyed seeing all the fantastic performances. 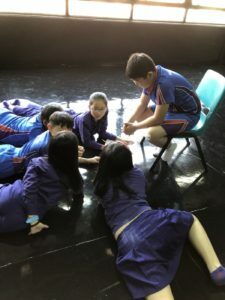 Students have been busy developing their cooperation and communication skills within their group. 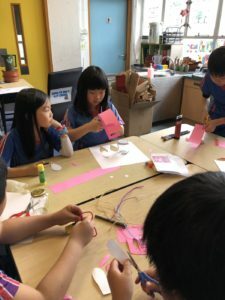 They have been working hard on their group names, logo and slogans, as well as beginning to work on their product designs and a few groups have even managed to begin making prototypes. 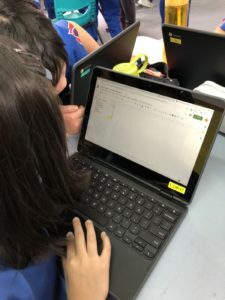 With Mr Thompson, some students have started to learn about using spreadsheets as a tool for budgeting and this will continue after the CNY holiday. 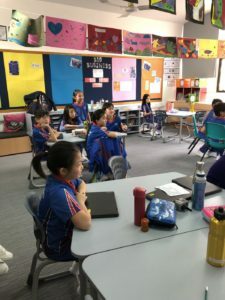 In reading, students have been working on developing their ability to recognise synthesising techniques as they read. 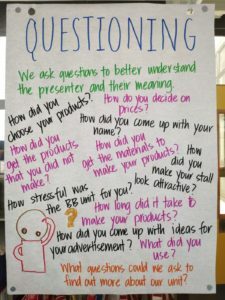 We have had discussions about connecting prior knowledge and the impact this has on our thinking. Students have been considering the inferences they can make and justifying their thinking using evidence from the text. In writing students have been working collaboratively in their Big Business groups to develop unique, entertaining ideas for their adverts. They have been considering the persuasive techniques used to entice people while exploring ways to include these in their own adverts. 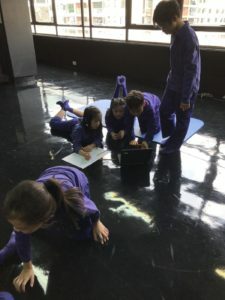 Students have been asked to compare ideas in their groups and consider ways to amalgamate all the best ideas into their advert. 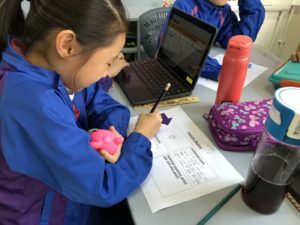 In maths this week we have been learning how to calculate our bottom price and have experimented with what happens to profit when we change the price and considered scenarios where it would be appropriate to alter prices. 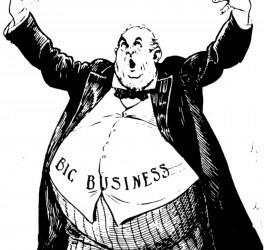 We have talked about why companies make a loss and ways to avoid this happening to their own business. In strand maths students have been working on interpreting data from graphs and have identified the most appropriate graphs to represent specific data. 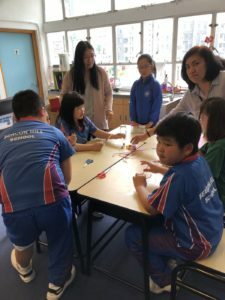 The relationships between these strategies and their use across a variety of problems. 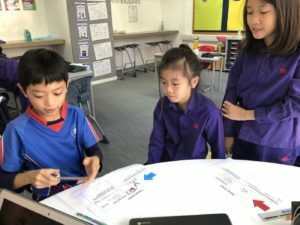 How can we show multiplication and division of whole numbers? How can we multiply and divide decimal numbers using a written format? What are the different ways to multiply and divide? 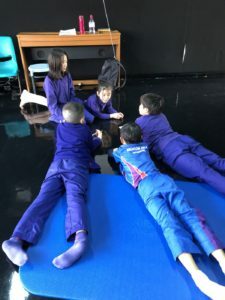 What mental strategies help us to multiply? 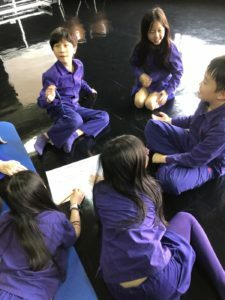 What mental strategies help us to divide? How many ways can you represent remainders? 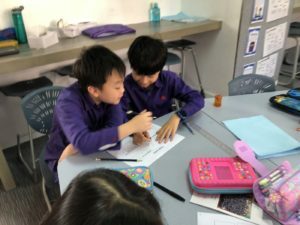 When is it best to use short division or multiplication? When is it best to use long division or multiplication? 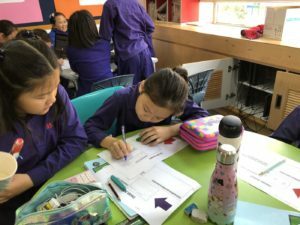 How can we add and subtract decimal numbers mentally? Why do I need to know my multiplication facts? Central Idea – Data can be presented effectively for valid interpretation and communication. What questions can be posed to give rise to the collection of data? How are different graphs and charts constructed? How (and why) are different scales used on graphs? What is the purpose of mode and mean? What have we learned that will help us read and interpret the data? Can the data be interpreted in a different way by someone else? 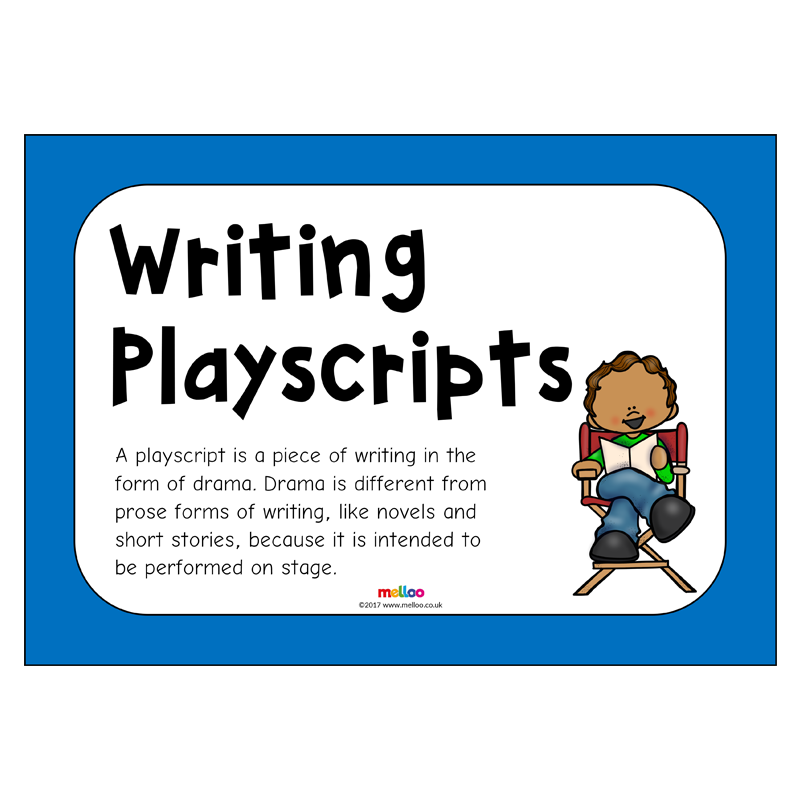 Writing Focus – Playscripts : For the first few weeks of this UOI we will be looking at Play scripts and will spend some time to write our own/groups scripts ready for our advertisements. 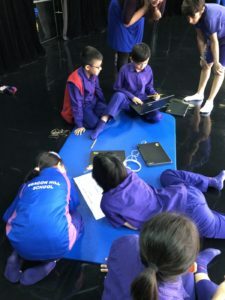 A play script is a piece of writing written for the stage. A play script will include a list of characters (at the very beginning). It may be divided into acts which are then divided into scenes. Each scene will have a description of the setting at the start and then the characters’ dialogue. Dialogue is set out with the character’s name on the left, then a colon then the dialogue. Stage directions for the actors are written every now and again in italics and brackets. 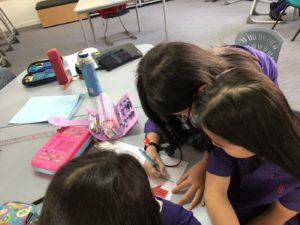 Reading Focus – For this unit, our reading comprehension strategies are Synthesising and Questioning. 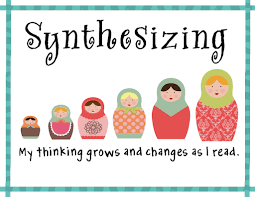 Synthesising – It’s best to think of synthesising as an ongoing, multi-step process. 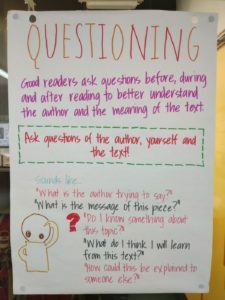 We want students to stop multiple times to evaluate what they know or think they know about some element of the text. Elements like the topic, the characters, the problem, etc. 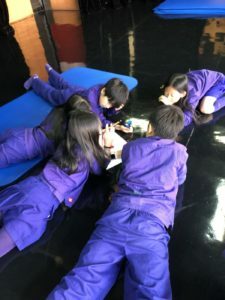 Each time students stop reading, they reflect, they combine their previous thoughts with new information and they form new ideas. 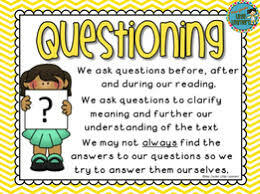 Questioning – To aid comprehension, skilful readers ask themselves questions before, during, and after they read. We can help the children become more proficient by modelling this and encouraging them to use it when they read independently. 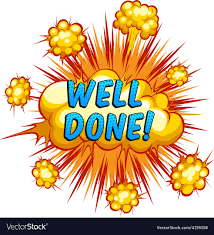 5F & 5C – please continue to use Quizlet to help you learn your spelling words and meanings. UOI – please have a go at home making a prototype of the suggested products. You don’t need to make lots at the moment. Parents please encourage your child to be reflective, considering what worked well and what they would do differently next time.